I don’t know about you, but I don’t mind talking. It seemed sort of a necessity when it comes to my belief in what a teacher is: storyteller, salesperson, counsellor, coach. If we’re not using stories to connect kids to learning, we’re selling a message we believe in, solving crises in the sandpit or else coaching our kids through some bloody hard times (seriously, when the hell do you need to divide a fraction by a fraction in real life?). Talking just seemed to be the way of the world. Until I learned I was an idiot and had it all wrong*. Over the last few years I’ve been lucky enough to be a student in a program focused on mentoring and helping educators develop their leadership knowledge, style and qualities. If we actually listen to those around us, we better understand them, get to know how they see things and then can better connect with them. but, how can you actually listen? Let’s start with something simple – rehearsing. Every single morning at 8:45am my school corridor doors are kicked in by excited students buzzing with energy, ready to give you updates on the “totes funny” snapchat hilarity from the night before. This leads to 29 students storming into my room bubbling with insights, gossip, discoveries and life stories. Some of it is amazing. Some…isn’t. So, when faced with a student providing you with the step by step moves they took to create a multi-dimensional nether portal (with obsidian, flint and steel) I may or may not start rehearsing how I will respond in my head. Or, whilst exhausted after a full on day, and sitting in the midst of a completely unproductive meeting a team member begins to share their perspectives on how we could tackle an issue we are facing with some of our kids. Having already heard their opening I’ve made a preempt what they are going to say. The whole time they are speaking to me I’m going through the motions, nodding, while practising in my head how I should respond. As soon as you start thinking about what you want to say and how you would respond, you stop hearing. The next time someone comes to you seeking help, asking a question, or simply venting about a problem, instead of spending time thinking and talking to yourself, just stop and focus on what they are saying to you. After all, just because we are listening, doesn’t mean we’re actually hearing what is being said. 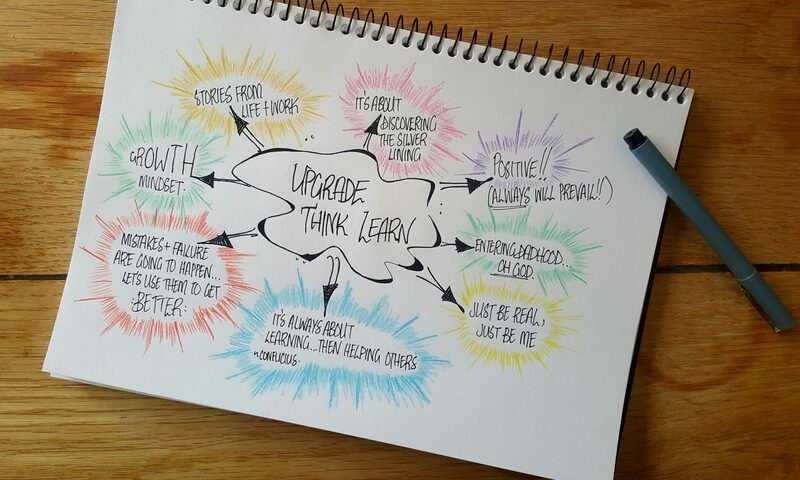 Upgrade how you think, how you learn and how you live. Sign up and relax while receiving our weekly posts (plus free laughter, wittiness and thoughtful chin scratching) directly to your inbox – amazing! (Well, we believe it is).